Dental Services in De Pere WI | De Pere Smiles S.C. 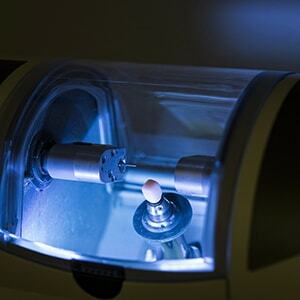 Implementing high-tech technologies to make dentistry comfortable and affordable. 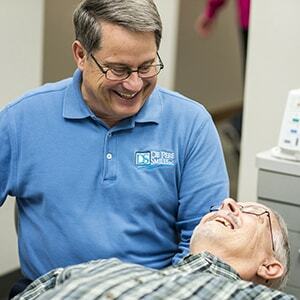 At De Pere Smiles, it’s our goal to provide the ultimate patient experience, so you don’t have to be afraid of the dentist. We do this by implementing a full-service practice with the best technologies available. Laser dentistry is a focal point of this dental practice, so we almost never have to use needles. 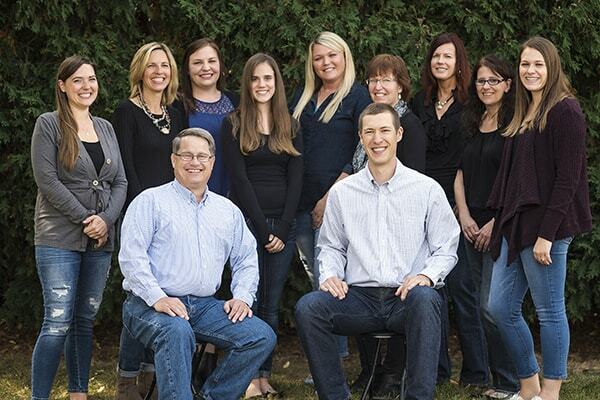 Our family dentists in De Pere work hard to create a friendly and fun environment for you and your family. 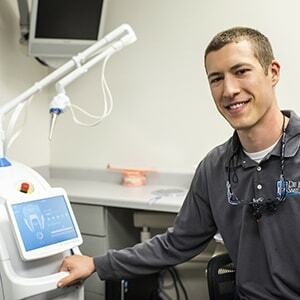 Other technologies, such as our CEREC machine, allow us to perform dentistry faster, including crafting your dental crowns in one appointment. Innovative services for your best smile - select a photo to learn more. Our office is filled with laser technology to make your visit more comfortable. 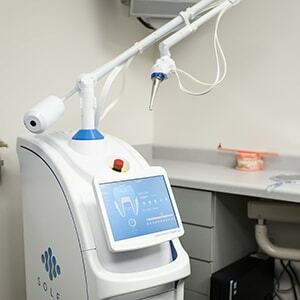 Our Solea laser, Biolase laser, Fotona laser, and single tooth anesthesia delivery system take away the stereotypes of dentistry with needles. Nobody likes traveling from office to office for dentistry. Save time and money at De Pere Smiles where Dr. Fritsche and Dr. Peterson can extract wisdom teeth under the same roof! Are you or your child/infant tongue-tied or lip-tied? Dr. Christopher Peterson has the passion and specialized training for helping infants, children, and even adults who suffer from tongue or lip-ties. Using the Solea laser, Dr. Peterson is able to remove the excess tissue without the need for surgery. Learn more about this innovative and quick procedure. 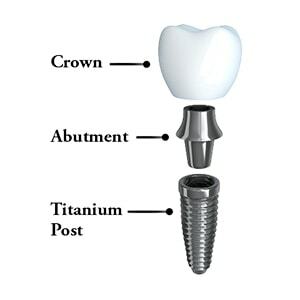 Contact our office today to see if implants are the right solution for you! Wouldn’t you love to get your crown in one appointment? It’s possible with our CEREC machine – a special computer that allows us to craft a beautiful restoration in a single visit. What does this mean for you? Say “yes” to faster and easier dental appointments. Call us to learn more about our friendly services! Dr. Peterson surpassed all of my expectations. He is incredibly knowledgeable and passionate about his work. He explained everything he was doing and why he was doing it. He made sure I was comfortable the entire time and answered all of my questions. I have already recommended him to all of my family and friends! I have been a patient of Dr. Fritsche for almost ten years and each year is as wonderful as the next. Everyone is so friendly and really care about the patients and their dental needs. We brought our 5-week old son to Dr. Peterson to have his lip and tongue ties revised. After 5 weeks of incredible pain and difficulties with breastfeeding, I was hopeful the revision would help alleviate our troubles. Dr. Peterson and his staff were absolutely wonderful, the procedure was quick, my son did great! Not even one week later breastfeeding has greatly improved and there’s no more pain! I’m so thankful we found Dr. Peterson and that we opted to have the procedure done. He was very attentive to us and our situation. You can tell he really truly cares about the families that come to him! Our family highly recommends his services! Dr. Chris Peterson and ALL of his staff members are truly amazing! I was recently seen for an evaluation of a tongue and lip tie in my 11-week old son after I noticed feeding him was becoming more difficult. Dr. Peterson took the time to explain his exam findings in a way that eased the worries of a very nervous first-time mom. I felt well educated and supported in making the decision to have his ties corrected and was given privacy to comfort my son afterward. He was very familiar with the lactation consultants I would be following up with and promptly returned my call when I had questions after leaving. ALL of the staff members were so pleasant, considerate, and genuinely caring people; I truly felt they went above and beyond to be accommodating. I was also scheduled for the same day I called to make an appointment! I highly recommend Dr. Chris Peterson and his wonderful staff! We would highly recommend De Pere Smiles. 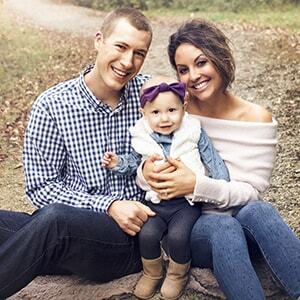 We were referred to Dr. Peterson from our lactation consultant for our newborn in regard to a tongue tie and lip tie. We felt at ease with Dr. Peterson and his staff from the moment we arrived. After an evaluation, Dr. Peterson shared his observations and we felt absolutely no pressure to decide whether or not to go ahead with the procedure. He explained exactly what he would be doing leaving us feeling calm and confident about making the decision to get both the tongue and lip ties corrected. The procedure was very quick and we were able to have the room afterward to comfort our son. Dr. Peterson explained the recovery process so we would know what to expect and he called a few days later to check in as well as to answer any questions I had. He is very knowledgeable and eager to help moms and babies. I am so happy we were referred to him and DePere Smiles!